Glass bottle such as Glass Soda Bottle,in the domestic utilization rate is very high, especially as a storage bottle can be widely used in the kitchen, and storage things are not easy to be affected by moisture, if you worry about the kitchen things storage time is not long, then you can choose glass bottle to store, can extend the storage time. There are a lot of things to pay attention to when storing and putting condiments in glass bottles. The following is a detailed introduction for you. Glass bottle storage can be used to store sugar, because sugar is more sensitive to changes in temperature and humidity, so it is very easy to be affected by moisture, appear dissolved agglomeration. If the sugar is put in the Glass Bottle supplied from Glass Bottle Wholesaler, it must be sealed with a lid. Besides, the smell of edible sugar has adsorption effect. It is not easy to put it with the strong smell, such as garlic. Salt needs to be placed in a dry glass bottle, especially iodized salt heat, damp, wind will lead to the evaporation of iodized salt. So iodized salt needs to be capped if it's in a glass bottle, so it will last longer. Soy sauce contains a lot of nutrients, more prone to breeding microorganisms, encountered special weather soy sauce appearance will appear a layer of white film, which is caused by pollution. So should put in clean vitreous bottle store inside, lest soya sauce is polluted. Add a few drops of cooking oil to it in the summer to keep bacteria at bay. Put vegetable oil to be able to choose vitreous bottle storage, need erases container clean first, add lid to seal next, had better be put in dry avoid smooth place. 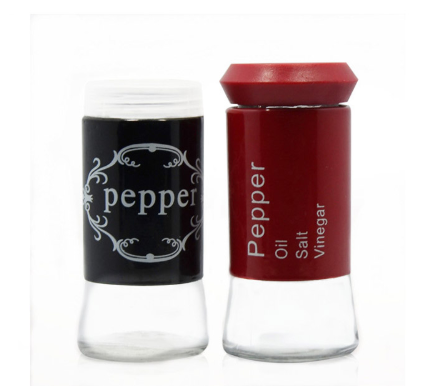 Above is the introduction that vitreous bottle stores bottle to put seasoning to need to notice what, vitreous store bottle besides be used at the kitchen, still can be used at beverage, medicine to wait for an industry, so the development prospect of vitreous bottle in the future is very good.